SCVHistory.com LW3428 | William S. Hart on His Horseshoe Ranch, Newhall, n.d. (~1920s). 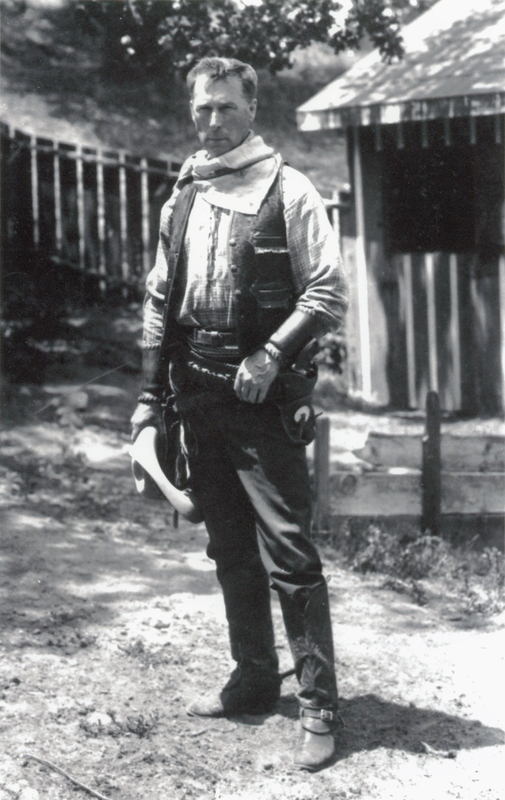 Actor William S. Hart on his Horseshoe Ranch in Newhall, n.d. (probably early-mid 1920s). Copy print, 8x10 inches, color process. LW3428: 9600 dpi jpeg from copy print purchased 2018 by Leon Worden.